Chicago Premium Outlets, an outdoor center located 40 minutes from downtown Chicago, has over 160 stores such as Armani Outlet, Coach, Saks Fifth Avenue Off 5th, Versace, Under Armour, Michael Kors, Nike, Kate Spade New York, Polo Ralph Lauren Factory Store, Calvin Klein, Cole Haan, J. Crew Factory, LACOSTE, Theory, Vera Bradley and more. With amenities such as a reflection pond, fireplaces, art installations, a play area and water fountains, this premier shopping center is more than just that. It’s truly a destination for shoppers and tourists visiting the Chicago area. Conveniently located off I-88 at the Farnsworth Avenue North exit, it is easily accessible for local shoppers and tourists coming from downtown or O’Hare and Midway International Airports. 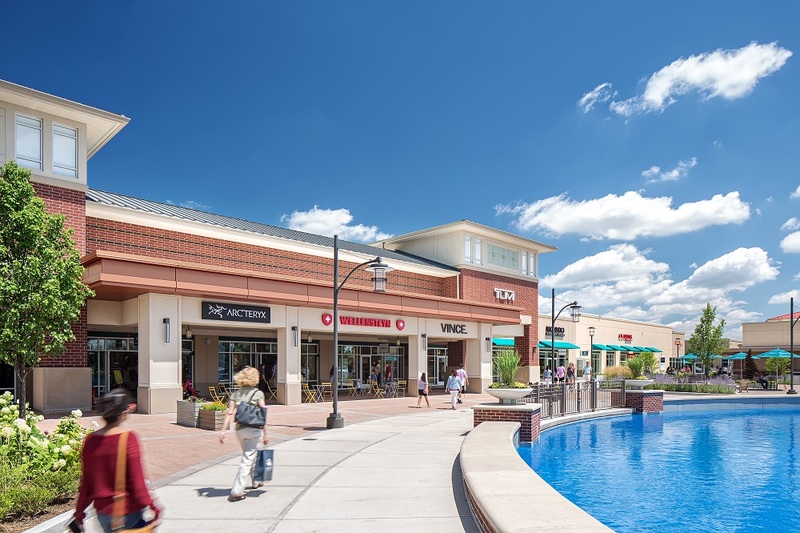 Whether you’re taking a day trip to shop with the family or want to spend the weekend exploring the shopping center and surrounding attractions, you’ll love stopping by Chicago Premium Outlets for a pleasant getaway. Enjoy an assortment of delectable dining options at one of the available restaurants or grab and go stations while shopping for an experience that is truly unlike any other. Either way, you’ll love the shopping, dining and attractions readily available in the area.